What is the most expensive element on Earth? What's the most expensive element on Earth? I'm reasonably sure it's not gold, maybe platinum or palladium. Still love your show - the best! Mark - Plenty of materials are extremely expensive. There are drugs such as soloris which costs a whopping $700,000 for a year's treatment. There are chemicals that have high social costs through drug abuse or pollution. But strictly speaking, none of these are elements. They're mixtures of elements bound together known as molecules or minerals. Graihagh - Ahh, so they're not strictly elements. That narrows down our search just a little. So, we're clear though. What exactly is an element, Mark? Mark - Elements themselves are something that can't be chemically broken down into a simpler substance. Of course, they're all nicely laid out on the periodic table or indeed in song. There's antimony, arsenic, aluminium, selenium, and hydrogen and oxygen, and nitrogen and uranium, etc. So, being a chemist, I'm going to use that definition of an element. Graihagh - Okay, so we're looking for an element, but what do we mean when we say expensive? Mark - Well, we can't live without oxygen or carbon or a host of other elements which makes them invaluable. But to make things slightly simpler, I think I'll stick to purely monetary values. Graihagh - Let the fight begin.Weighing in at just 12 on the atomic mass scale, it's lightweight underdog, carbon. Mark - It might cost pennies when it's graphite in your pencil, but turn it into the best diamonds and it might fetch $100,000 for a gram. Graihagh - That is a hefty price tag! What else is a contender? Mark - Astatine - it's radioactive. The half-life of a few hours and so, it decays as quickly as it's produced. The result is that there's probably less than 10 grams of naturally occurring astatine on the whole of the earth. 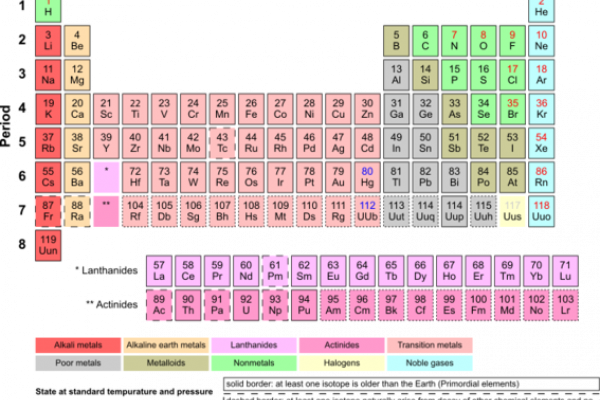 But astatine still isn't the rarest member of the periodic table, not if we take into account man-made elements. That accolade probably goes to livermorium, made by bombarding heavy atoms together causing them to briefly fuse into the new element. Only a handful of atoms have ever existed and with the half-life of 61 milliseconds, they don't hang around for very long either. But whilst these are fabulously expensive to manufacture, there's no commercial reason to do so. Graihagh - What does that leave us with as our champion? Mark - It's another man-made element but a useful one. With applications ranging from initiating nuclear reactors to radio therapy treatments for some cancers, but it doesn't come cheap. You also need to set aside a cool $27 million for just 1 gram. Graihagh - And the winner by knockout is californium! Previous How much wheat to make a loaf of bread? Next Why are fingerprints unique?